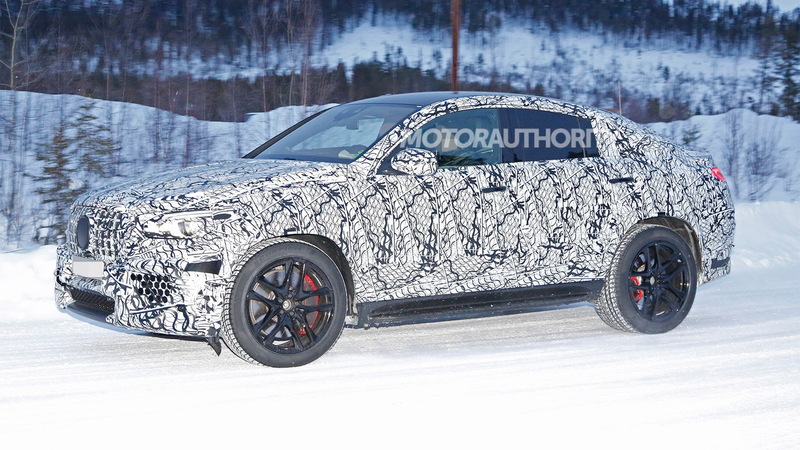 Prototypes for the redesigned GLE Coupe have been spotted for almost a year but now we have spy shots of a prototype for one of the AMG-enhanced versions. The lowered suspension and massive wheel and tire combo confirm the tester as a member of the AMG family, and the presence of quad-exhaust tips with a square shape and the multi-slatted Panamericana front grille confirm we're looking at the GLE63 Coupe. 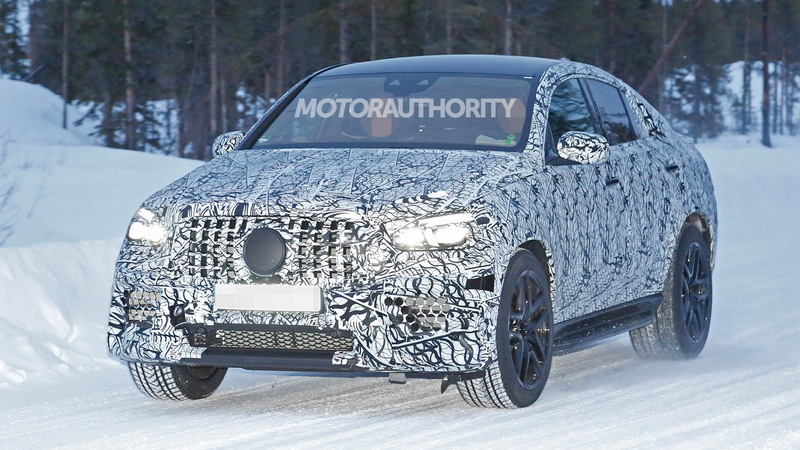 AMG engineers are also out testing a GLE53 Coupe. 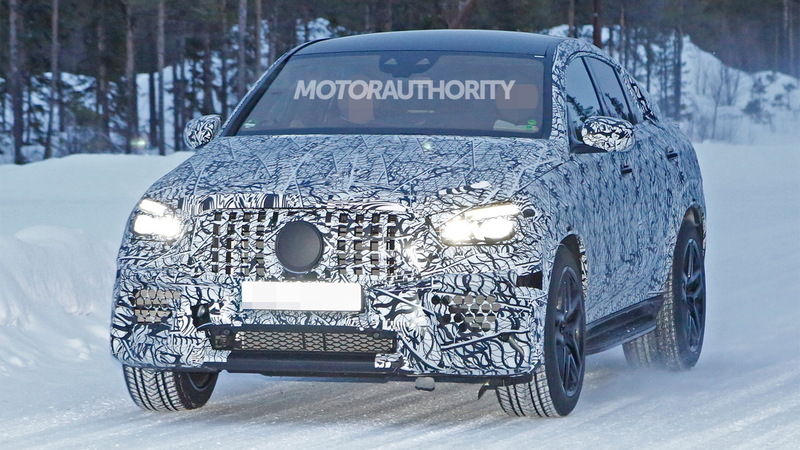 The tamer model, which will replace the current GLE43 Coupe, can be identified by its single-bar grille up front and round exhaust tips. Powering the GLE63 Coupe should be AMG’s familiar 4.0-liter twin-turbocharged V-8, with the engine mated to a 9-speed automatic transmission and rear-biased all-wheel-drive system. Peak output should be in the vicinity of 603 horsepower. And once again there will be a standard version and spicier S model. The current S has 577 hp on tap. In the GLE53 Coupe, we'll see the same mild-hybrid system built around Mercedes’ new inline-6 engine that debuted in the 2019 CLS53. The system, which also boasts an electric compressor, delivers a V-8-like 429 hp but with 20-percent better efficiency than a V-8. Mercedes is preparing to reveal its redesigned GLE Coupe soon. A debut in the first half of 2019 should precede a market launch in the fall, meaning we'll likely see it arrive as a 2020 model. 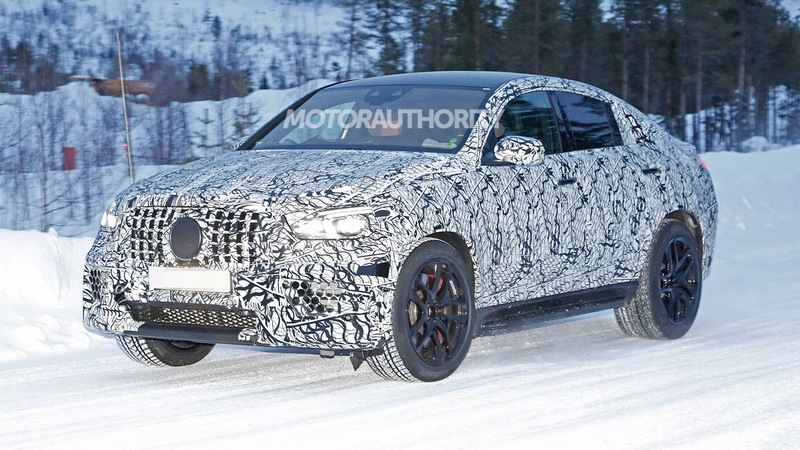 The two AMG variants will likely follow in 2020 as 2021 models. There will be plenty of competition when they arrive. BMW has a redesigned X6 M on the way, and Audi is known to be preparing S and RS versions of its new Q8. Porsche is even getting in on the game with a coupe-like version of its Cayenne. 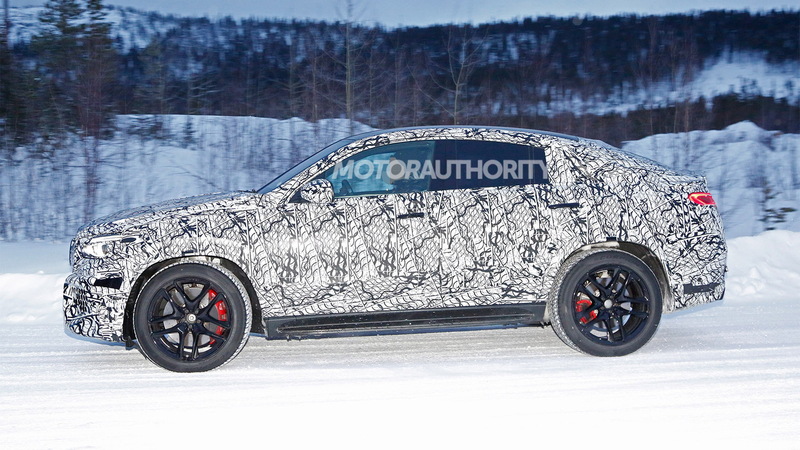 Also in the works are regular GLE53 and GLE63 crossovers from AMG.